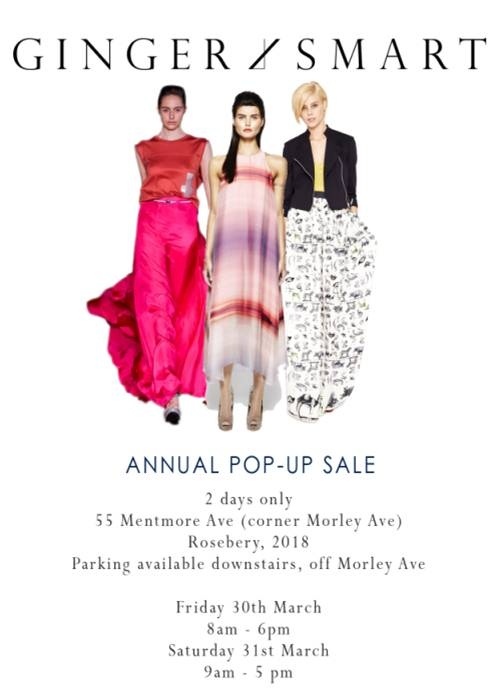 GINGER & SMART’s Annual Pop Up Sale starts this Friday 30 March – 2 days only! Sale items include GINGER & SMART SS11 collection, AW12 samples, accessories, fabrics and leathers – up to 70% off. This entry was posted in Australian Designers, Sales, Sydney and tagged Australian Designers, Ginger & Smart, sale, Sydney by houseofturtle. Bookmark the permalink.